About to pop Meghan Markle style? When you’re expecting, it’s difficult to know exactly what you will need for your newborn and what products are best for you. Owlet Baby Care, founded in 2013 by a team of parents, empower parents with the right information at the right time to take care of their newborns. Recently launched in the UK, Owlet Baby Care is responsible for the world’s only Smart Sock which tracks heart rate and oxygen levels of babies up to 18 months old. 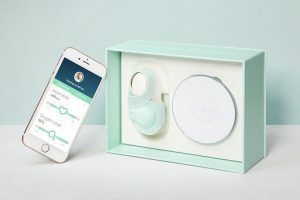 Winner of ‘best baby monitor’ from Baby Centre, What to Expect and The Bump, the Owlet Smart Sock is a unique product that enables peace of mind for parents and carers, allowing them to reclaim hours of much needed sleep. It is extremely popular in the US and Australia, with advocates such as Jessica Alba, Khloe Kardashian and beloved celebrity Nanny, Connie Simpson.